With more than 2,500 km of coastline and several archipelagos off the Andaman Sea and the Gulf of Siam, Thailand enjoys exceptional panoramas with a variety of flora and fauna. The seabed is renowned worldwide for its rich and lush diversity perfect for exploring with a mask and bottle of oxygen. You can dive all year round in Thailand depending on which part of the country you go to. We recommend that during the period of November to April you go to the Andaman Sea because the weather and calm sea are ideal for diving and there are fewer tourists. 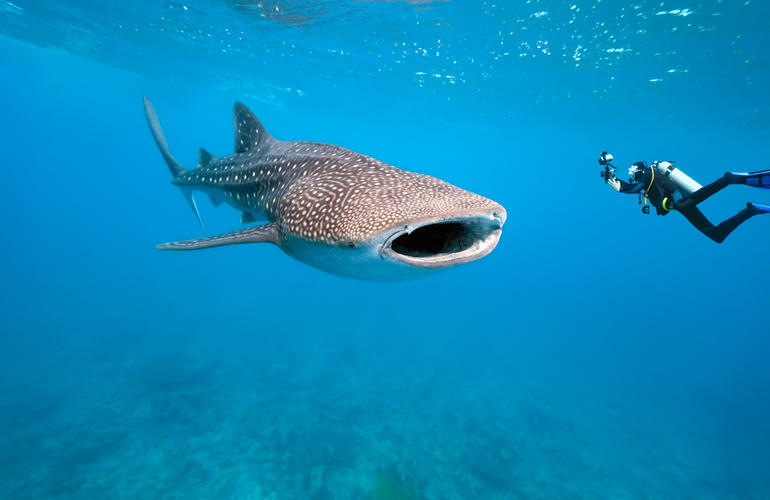 In addition, the dive sites of Similan Island are relatively quiet and it’s the perfect season to encounter whale sharks or manta rays during a dive in Phuket. 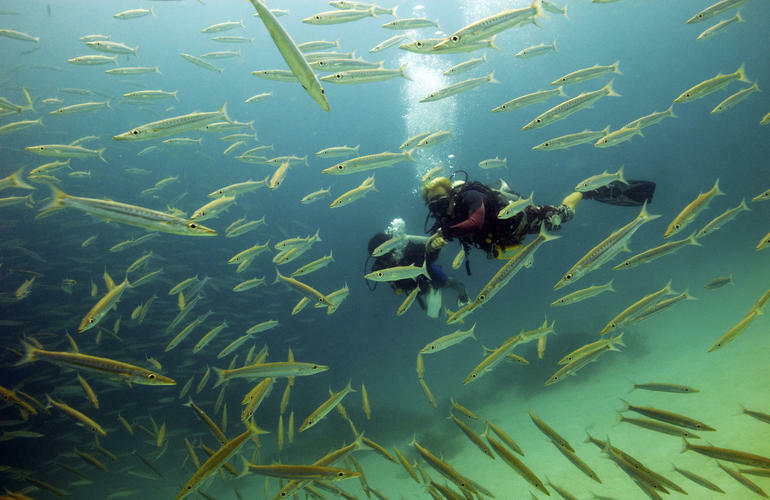 Lastly, March to September is the best time of the year to dive on the island of Koh Samui in the Gulf of Thailand. Also known as the “Pearl of the South”, Phuket is the southernmost province and the largest island of Thailand. The island is located in the Andaman Sea, east of the peninsula of Malaysia, with its sumptuous mountains that surround sandy beaches, waves and crystal-clear waters. North of Phuket, you’ll find Sirinat National Park, known for its pristine white sandy beaches, loveable sea turtles and home to both the sea and the jungle. Scuba diving around Phang Nga Bay, made famous for Ko Tapu AKA James Bond Island, is one of the island’s must-see excursions. The Similan Islands form an archipelago of nine islands in the Andaman Sea in southern Thailand and have supported an incredible natural reserve with a diverse ecosystem since 1982. Koh Bon, Koh Bayu, Koh Similan, Koh Payu, Koh Miang, Koh Payan, Koh Payang and Koh Huyong make up this archipelago which is accessible by boat from Khao Lak. Discover sublime coral reef empires while exploring the depths of these islands and, depending on the season, swim in the presence of manta rays around the island of Koh Bon. Keep your eyes peeled, as it’s not too rare to come face to face with a leopard shark in Koh Tachai or a whale shark to Richelieu Rock, and the local flora and fauna are always hiding unexpected surprises! This gateway to the Similan Islands National Park is one of the best places to get your first PADI qualification. 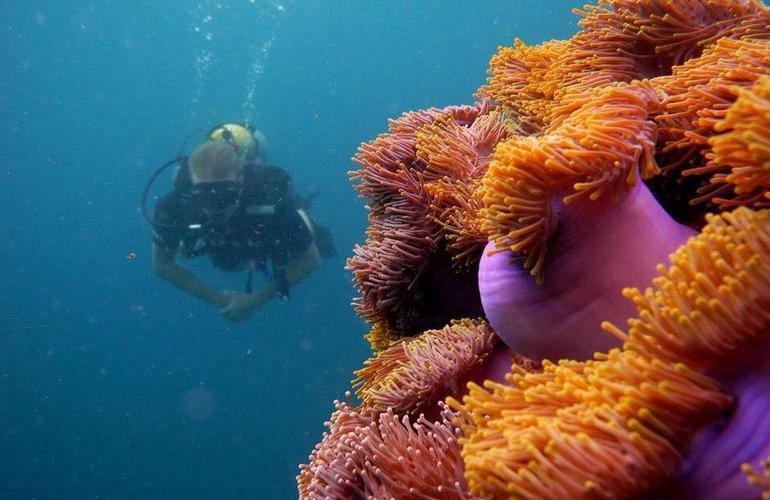 Discover a fantastic world under the waves in one of the best marine parks in Thailand alive with a flourishing colour spectrum where tropical fish rule the reef. 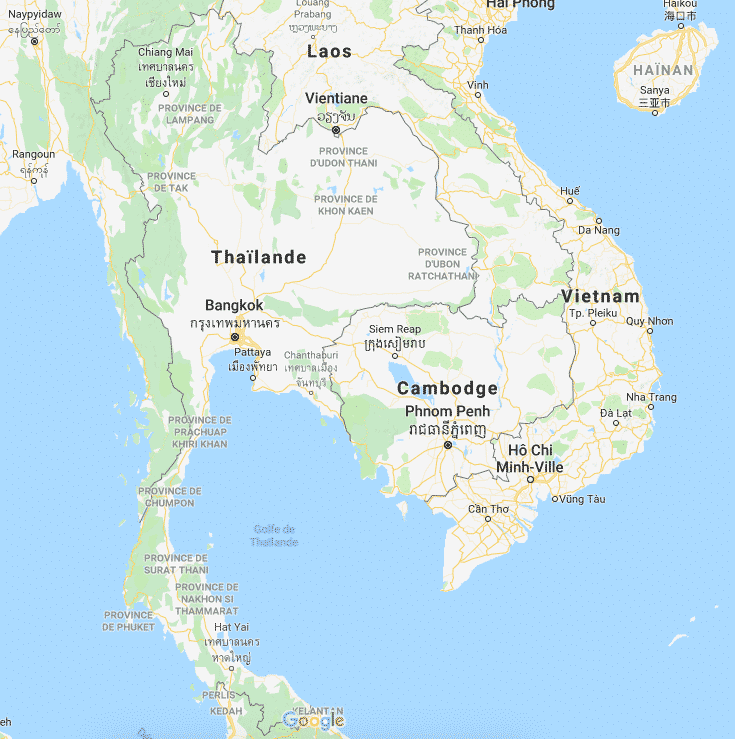 Khao Lak is only 80 km north of Phuket International Airport, on the west coast of Thailand, just a two-hour boat ride from the Similan Islands. The Phi Phi Islands are a small archipelago located in the Andaman Sea off the coast of Krabi Province. The two main islands: Koh Phi Phi Don and Phi Phi Phi Leh (a smaller and uninhabited island) are an ideal base for exploring the best underwater sites in the Andaman Sea. With its magnificent cliffs and turquoise waters, Koh Phi Phi is one of the most beautiful islands in the world, so it’s not surprising the Maya Bay site in Ko Phi Phi Leh served as the backdrop for the movie “The Beach” with Leonardo DiCaprio. 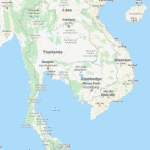 The Surin Islands form an archipelago of five islands, the best-known being Ko Surin Neua in the North and Ko Surin Tai in the South and is located 55 km from mainland Thailand. The Mu Ko Surin National Park is one of the most famous diving and snorkelling sites in Thailand and the world, where an astonishing variety of underwater species coexist. The expansive pink and purple coral reef are home to multi-coloured fish and fauna and is frequented by whale sharks out for a daily stroll. 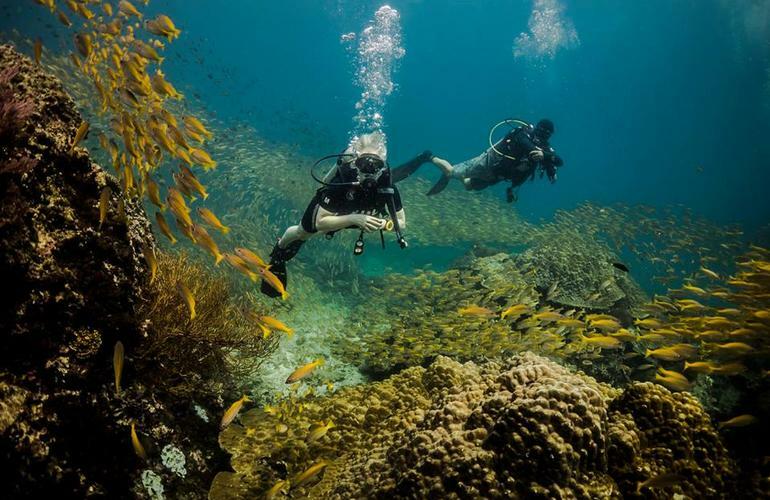 You may have heard of Koh Lanta as it’s the destination in a famous French TV show based on adventure and survival, but aside from that, it is also a world-famous diving spot. 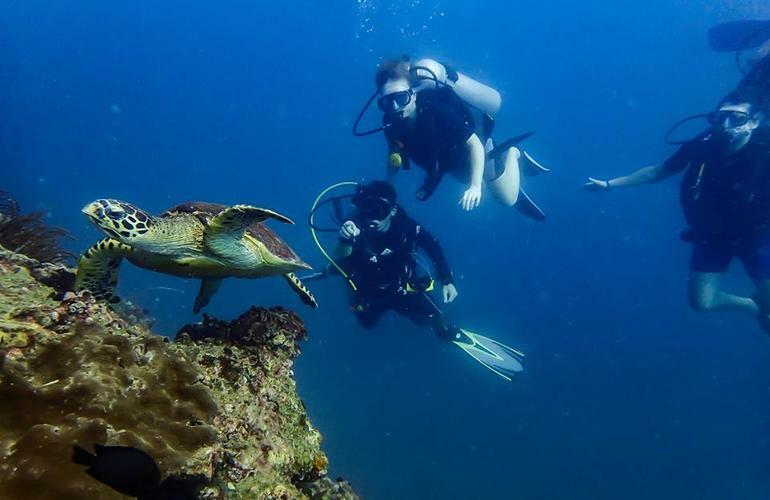 Considered as the Holy Grail by experienced divers, Koh Lanta is a pearl in the Andaman Sea. 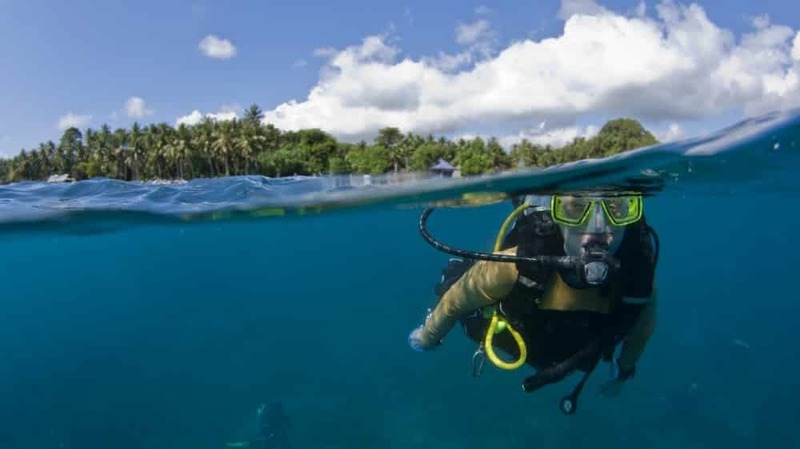 Home to spots such as Hin Daeng or Hin Muang that offer tropical reef diving in iconic places like the wreck of the King Cruiser, the Anemone Reef or Shark Point. These rich, deep waters attract rare species of marine animals, making it a must-see for nature and photography enthusiasts. 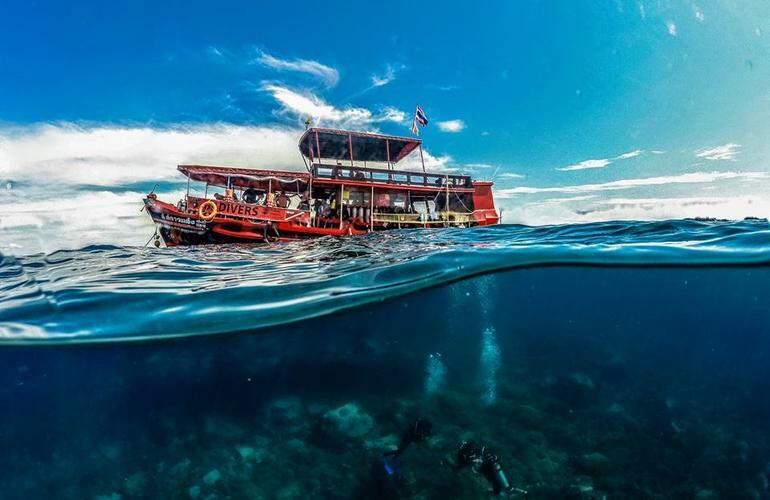 The sultry city of Pattaya, located on the east coast of the Gulf of Thailand is famous for many reasons, but notably for its especially deep sea. 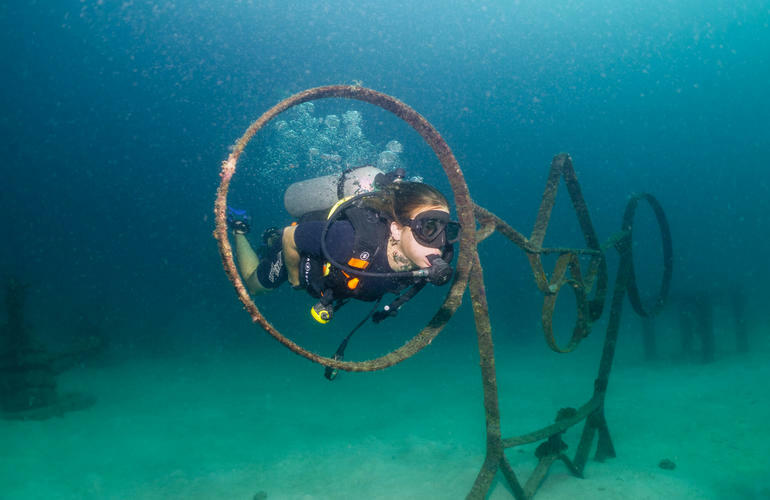 Dive under the crystalline waters of Pattaya and discover the local wrecks and reefs on an excursion from the beach. 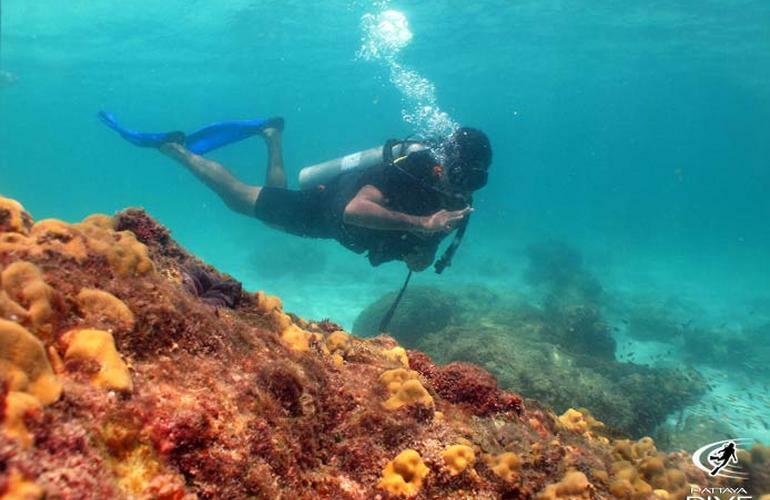 This activity is aimed at certified divers who wish to spend the day travelling by boat between the islands of Pattaya. The conditions in this area are perfect for hanging seahorses, pufferfish and shrimp, and thanks to a large city of anemones, you’ll be sure to meet some much-loved clownfish too. Let’s take a trip to the famous islands of Surat Thani: Koh Samui and Koh Tao. Ko Tao is an island located east of Chumphon town in the Gulf of Thailand and serves as favourite breeding ground for green turtles. Its famous dive site Sail Rock is renowned for its tropical coral reefs which sustain rare species such as whale sharks and rays. As for Ko Samui, it’s the second largest island in Thailand, located off the east coast of the Isthmus of Kra and is more intended for snorkelling enthusiasts rather than deep-sea divers. With an area of ​​211 km², Koh Chang is the third largest island in the country, situated on the east coast of the Gulf of Thailand in the province of Trat and near the border of Cambodia. Its proximity to Bangkok (310 km) makes it a flagship destination for tourists on holiday in the region. After a refreshing swim in the pool, it’s time to go out to sea and go down to 12 meters deep to explore the coral reefs. Koh Chang is ready to blow you away with encounters with sea turtles, barracudas, groupers, rays and a huge variety of colourful reef fish. The Racha Islands are located 18 km south of Phuket, Racha Yai is the largest at 3.5 kilometres long. 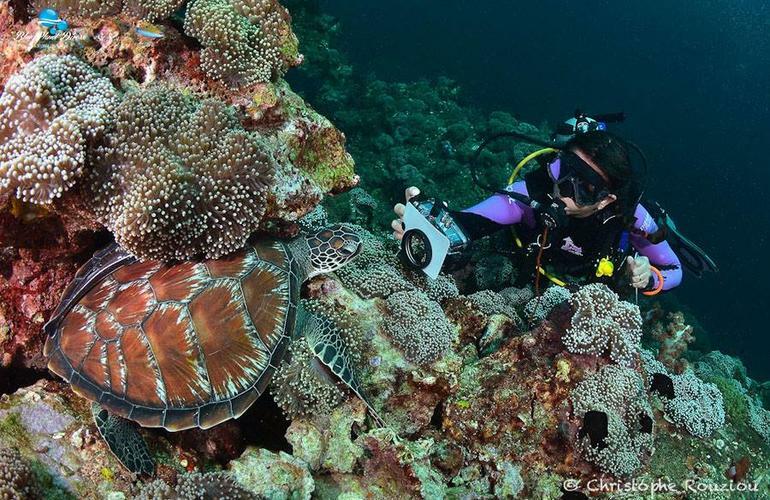 The seabed around the island is full of multi-coloured coral reefs that make this tropical island one of Thailand’s most unique diving resorts. 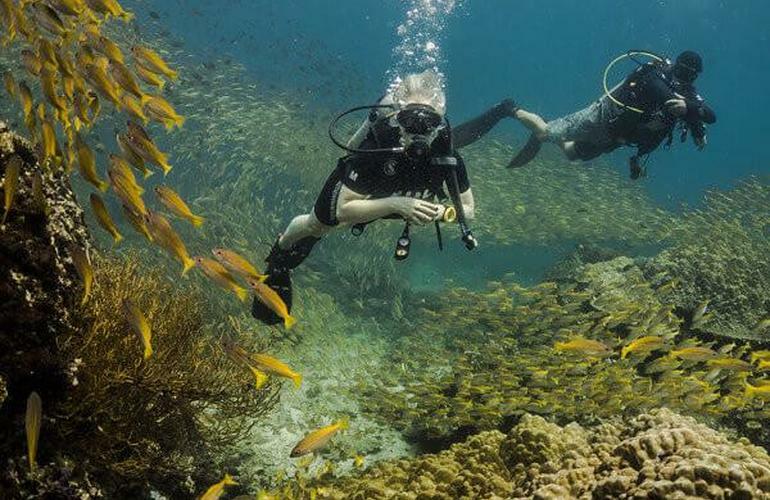 Leave Koh Racha Rai with a head full of exquisite diving memories and a camera full of photos all your friends and family will want to see again and again.